“Right now I am just delighted to be alive and to have had a nice, long bath.” (Richard Branson). The times of bathrooms tiled to the ceiling are well and truly over – as is the boring old “avocado” colour scheme! Retro rules, but there are plenty of other ways to add arty sophistication to your bathroom. A stunning Op-Art wallpaper or an eye-catching Pop-Art motif will instantly make bath time fun time! Mediterranean designs awaken a longing for sea and sun, flowery or urban stone patterns create an elegant wellness oasis – we present our bathroom wallpaper range with wow factor! Luxurious bathrooms with a cunning mix of edgy granite tiles and opulent baroque wallpaper in lush colours or gold lustre; surfaces as velvety as a bubble bath, and truly refreshing motifs. Our new bathroom range provides plenty of room for the imagination! Just picture yourself, leaning back in the calming water and losing yourself in the gorgeous motifs, letting your imagination take you on a journey. 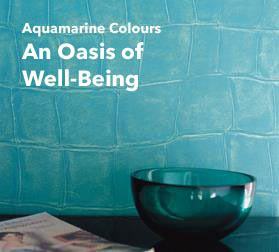 Subtle or strong colours evoke a sense of calm or invigoration. 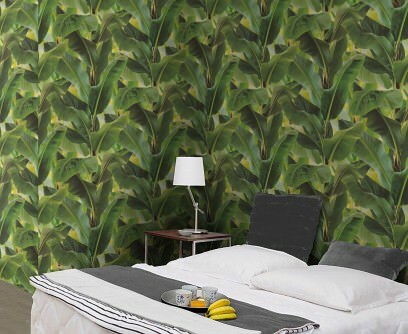 Our vinyl or flock wallpaper collection will make you feel like you are in a top-rated boutique hotel - every day! Bobby Darin’s famous song from the fabulous Fifties conjures up images of fresh, clean bathrooms adorned with exclusive, cheeky, fresh, humorous, flowery or romantic wallpapers. Turn this vision into reality! Indulge in the power of colours, be charmed by the candy-floss sweetness of old Doris Day movies, or re-enact your own personal “sit-in” with geometric flower-power designs. Luxurious ambience or natural well-being – our durable bathroom wallpaper range lends a sense of uniqueness and individuality to your wet-room. Our innovative ideas will satisfy your every need. Designer wallpapers for bathrooms with beautiful patterns or structures, in exuberant, refreshing, maritime, sophisticated or glamorous colours add new themes to this frequently used room. And these themes can be varied and multifaceted, as countless examples prove. The art of designing bathrooms with appropriate bathroom wallpapers depends entirely on your choices and your imagination. The requirements for your wallpaper for the bathroom are slightly higher and more specific than for those rooms with normal/regular humidity levels. In bathrooms and wetrooms, you need water-resistant, wash-resistant wallpapers with a special coating or sealant. The adhesive used also has to have special characteristics and must be stronger than regular wallpaper paste. Let us take you on a journey through the world of contemporary bathroom design with myriads of imaginative options. But first of all, lets find out about the most important characteristics of wallpapers for the bathroom: carrier and surface materials. How to combine functional and stylistic aspects by clever use of bathroom wallpaper. Until not too long ago, many bathrooms were tiled from floor to ceiling. This was considered both attractive and practical. Tiled walls were easy to clean. Any humidity would stay on top the tiles and not lead to mould on the actual wall. Wallpapers then weren't of the same quality that they are today, which mostly made them unsuitable for wet rooms. The new design freedom for bathrooms developed gradually, as did the trend away from cold tiles, all in the same colour, to more bright and stylish bathrooms. With patterned, motif-based bathroom wallpaper, any desired ambience can be created - from the deep blue sea to a beauty spa straight out of Old Egypt. In connection with the sea and water, the colour blue takes on deep hues, often tinged with green: ocean blue, lagoon blue, azure, turquoise, aquamarine, sapphire. Bathroom wallpapers in these colours with structured or motif patterns turn white walls into magical, mystical underwater worlds or the infinite expands of the Atlantic. Create your very own Blue Lagoon, a haven away from the strains and stresses of life. 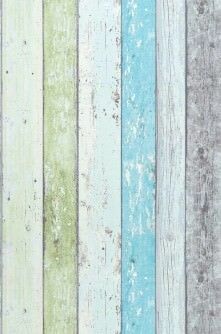 Combining blue with white and red sets a classically maritime scene for Wallpapers for the Bathroom and is often matched with striped wallpaper. 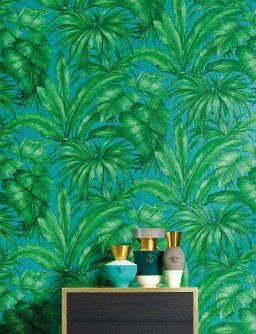 The Caribbean, the Maldives, Hawaii or the tropical jungle - with brightly coloured designer wallpapers, the bathroom turns into your dream landscape, complete with colourful parrots or flamingos, wild lianas and tropical greenery. It doesn't have to be a clearly defined pattern, abstract motifs or structures and embossing in exuberant blue and green hues are also perfect for bathroom themes involving the ocean. 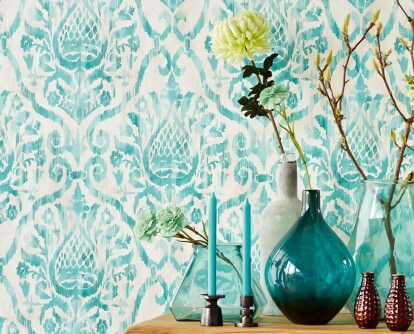 How about a turquoise leather wallpaper with incredibly realistic embossing reminiscent of fish scales, or a designer wallpaper for the bathroom with opulent baroque or retro patterns in the colours of the sea? 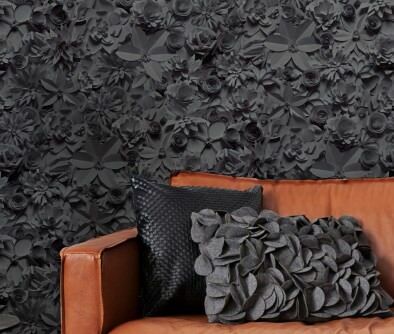 Seemingly moving wallpaper patterns depicting lines, waves or water bubbles create gentle or strong dynamic effects. Want to feel just like Cleopatra or the effervescent Queen Marie Antoinette of France when enjoying your bath? Antique or baroque splendour has become a favourite theme in stylish bathrooms. We provide you with the requisite patterned bathroom wallpapers in exclusive designs. Whether you prefer dark, light, gold or silver - washable baroque wallpapers raise your bathroom to the ranks of aristocracy. Depending on the base or pattern colour and the particular type of ornament, bathroom wallpapers in a baroque style can also provide a very modern touch. Enjoy a sense of exclusivity and luxury every day! The bathroom is where we cleanse our bodies and relax our minds. 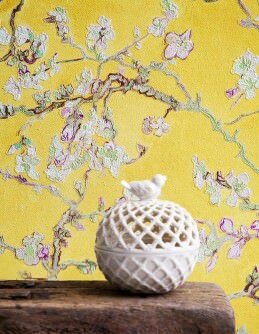 An oasis of well-being which indulges body and mind begins with wallpaper design for the bathroom. 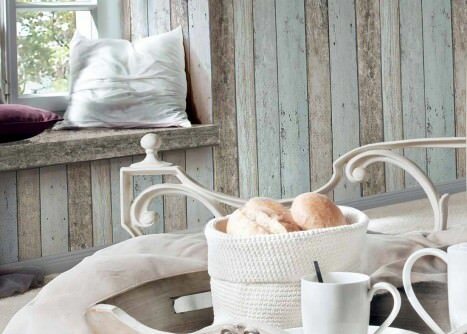 Light hues of green and white, combined with a subtle orange, delicate yellow or lilac, organic material structures of wood, grass or cork and cool stone wallpapers reflect peace and serenity. Decorative elements from Asian healing arts or Buddhism complete the picture. The concept of a Turkish bath or a pampering session in an oriental beauty paradise is a bathroom theme which is particularly popular with the ladies. Bath wallpapers in a tile or mosaic design create an ambience of well-being and a fairy-tale flair. Colours reach from light to dark, in rich chocolate hues or gorgeous golden shimmer. Designer tile wallpapers by NLXL and Coordonné enable you to realise your oriental hamman dream. Discover the refined top-quality luxury wallpapers by Versace from our Wallpaper Shop with their stunning ornamental pattern charm. Good vibes in the bathroom - a match made in heaven. The bathroom is the place where we get ready for the day or for nights out, where we seek refreshment and cleansing in the shower or relaxation in the tub. 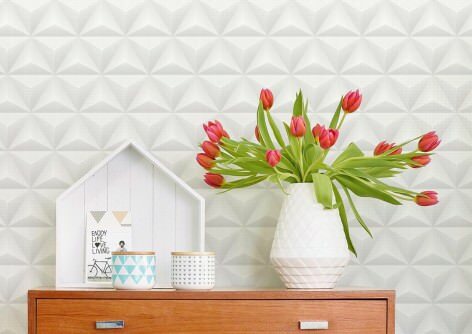 Flower Power and geometric pattern wallpapers are the perfect backdrop for these moments of indulgence, but they can also complement specific styles like Vintage Lounge or Country Cottage and Romanticism. Clear lines, colours like anthracite, black, white, silver-grey, stone or wood imitations are all representative of "Modern Clean Chic" in the bathroom. Bathroom wallpapers that fit the bill boast structured patterns providing striking contrasts. 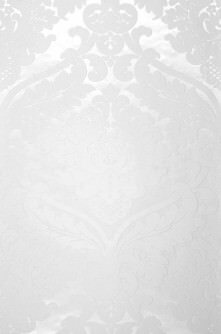 High-quality leather imitation wallpapers in the colours mentioned above and featuring interesting embossed patterns are an alternative wall treatment for bathrooms, providing sophistication and elegance. The very nature of a wetroom or bathroom means that there will be high levels of condensation. As a result, wallpapers used here need to have specific characteristics in terms of adhesion, water-resistance and washability. When it comes to using wallpaper in the bathroom, the main thing to think about is the surface material. One of the best options is vinyl wallpaper, which has a polyvinyl chloride (PVC) coating. This plastic surface prevents humidity from penetrating and also means that the wallpaper is washable. Vinyl wallpapers can have a carrier layer made of paper or non-woven materials (fleece) - both are suitable for bathrooms. However, non-woven bathroom wallpapers are frequently the preferred choice, due to their ability to retain their shape and their water-resistance. The specific characteristics of your bathroom wallpaper determine to which degree it can be cleaned. The extensive range in our Wallpaper Shop includes wash-resistant, highly wash-resistant, scrub-resistant and highly scrub-resistant wallpapers for bathrooms (vinyl wallpapers with non-woven or paper-based carrier materials). Unfairly, vinyl wallpapers still have a reputation of being heavy, and limited in terms of patterns. 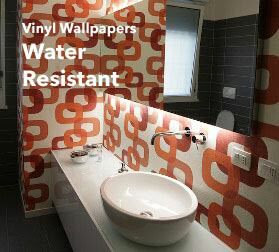 But that is a thing of the past - today, bathroom wallpapers made from vinyl are a real visual highlight and come in a myriad of variations. Vinyl wallpapers can have smooth or structured surfaces, and the huge amount of patterns and motifs in our range will enable you to realise any desired theme or style. Many well-known designers appreciate this high-quality and water-repellent surface material when creating new favourite trends for bathrooms. If you'd like to order wallpapers with a different surface material, you need to consider that all wallpapers used in bathrooms have to be treated with a sealant coat to protect them from humidity and condensation. This can be achieved by applying specific latex paint. 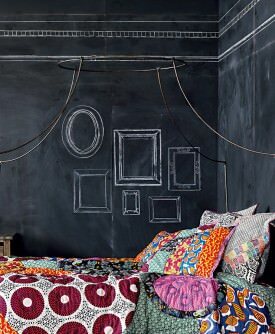 This needs to be done with accuracy and precision so as not to miss any part of the wallpaper. 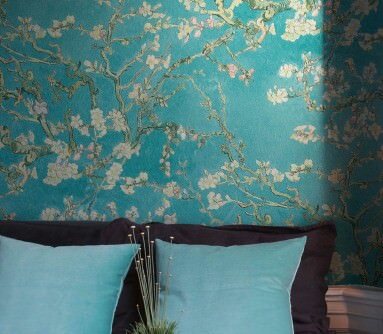 Even the smallest untreated spot can have an impact on the look of the entire wallpaper after a while. Delicate or sensitive surface materials are not suitable for the sealing process with latex paint. 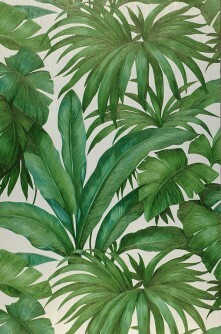 You can find additional information in our Guide Blog -Wallpapers for Bathrooms and Kitchens. 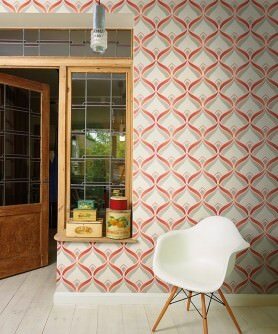 Patterned wallpapers can be used for a feature wall or on all bathroom walls. In all areas that are in direct contact with water or subject to humidity/condensation (shower, sink, toilet, etc. ), a backsplash needs to be installed, as even water-repellent wallpapers cannot sustain this exposure. Contemporary splash water protection tiling is limited to the relevant areas and hence doesn't take up much room - which means there is plenty of free wall area that can be beautified with design wallpaper. 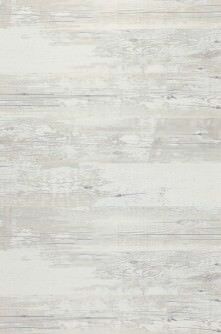 Old and unattractive tiling can be "hidden" behind water-repellent wallpaper. In order to make sure that the results are as desired, some preparation is required. 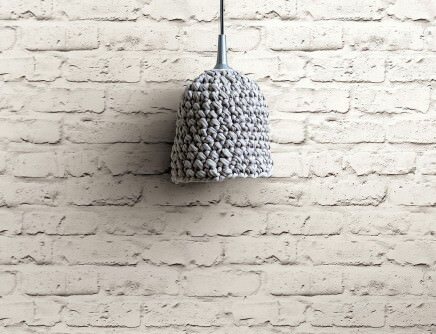 The wall surface can be smoothed out with tile adhesive, Alternatively, gypsum plasterboard can be attached to the wall to prepare it for wallpapering. The individual steps are described in detail in our Wallpapering Instructions How to wallpaper in the bathroom. This also provides important info regarding the correct adhesive. For vinyl bathroom wallpaper, a mixture of special wallpapering paste and dispersion adhesive is used to increase the adhesive strength.